May 20, 2011. 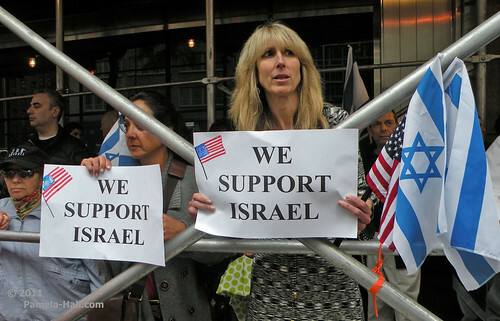 Pro Israel supporters gathered at the Israeli Consulate in NYC waving flags and holding signs. 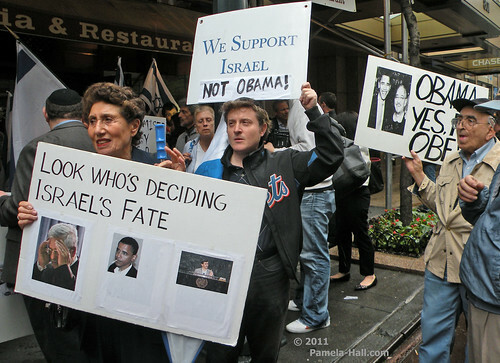 The came to oppose Obama's actions in support of terrorists like Hamas and his betrayal of Israel, the only Democracy in the Middle East. 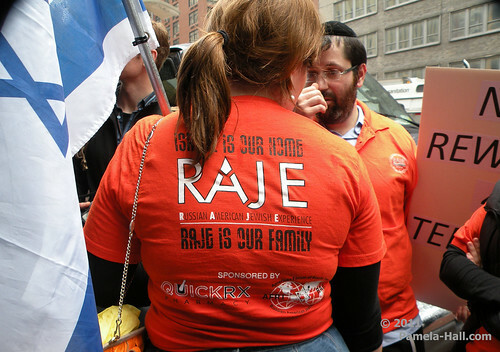 A number of major Jewish organizations, including the Zionist Organization of America (ZOA), RAJE, Jewish Action Alliance, among others, gathered at Second Avenue and 42nd St to protest President Obama's suicidal call that Israel should retreat to the indefensible 1967 borders. 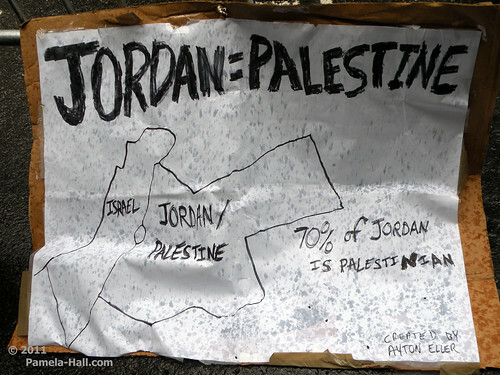 Obama endorsed Palestinians' demand for their own state based on the pre-1967 borders. The break with longstanding U.S. policy is a grave danger to Israel. 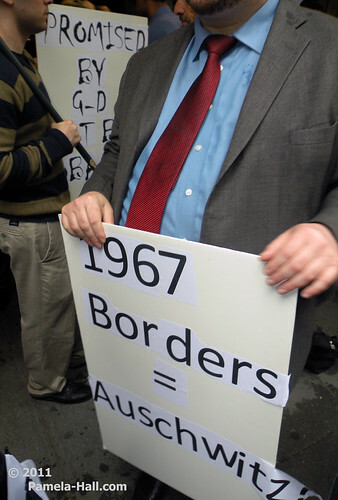 Democrat NY State Assemblyman, Dov Hikind came out in support of Israel, NOT Obama. He made some very important statements to the press, very clear criticisms of the Obama betrayal. (see video from approx 00:42 to 5:08 ) Hikind also said that even though he was a Democrat he will not be able to support this President for re-election. 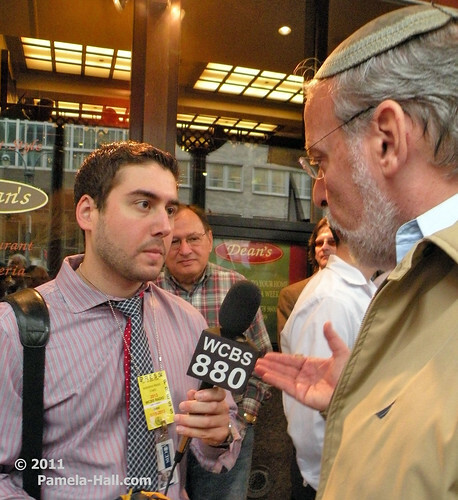 This same NY Fox reporter left Hikind and asked supporter, Hillary Markowitz, "Why not give them back the land so there will be peace?" (was she on automatic pilot?) 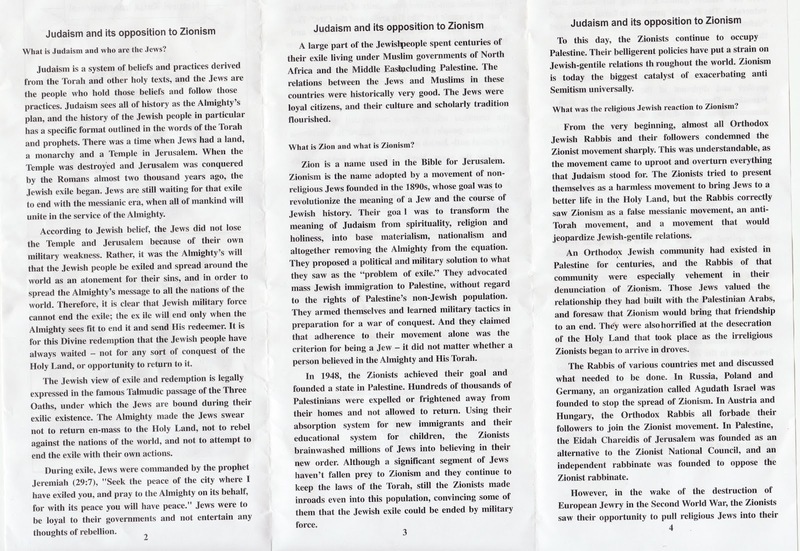 Markowitz deftly replied (5:22 to approx 5:58), "After the Oslo Accord there were territories that were offered in peace and what did we get? The intifada, where thousands of people were injured and killed by terrorism. For the President, giving back land doesn't bring peace. You need a Peace Partner who recognizes Israel's right to exist. 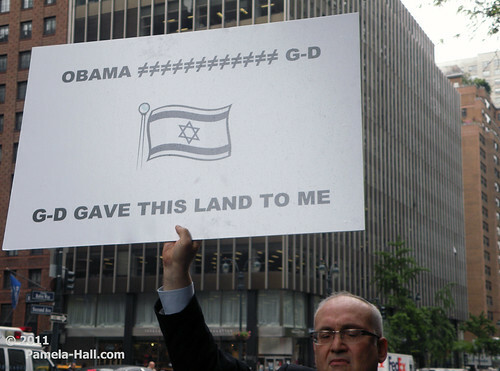 Giving back land does nothing..."
Obama and Israeli Prime Minister Netanyahu are meeting Friday in Washington, DC. 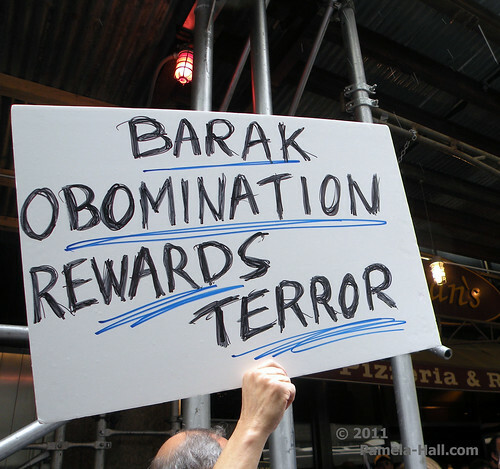 He is the most hostile president to Israel ever and this move will only cause more Arab terrorism. As Prime Minister Netanyahu stated, these borders are "militarily indefensible." 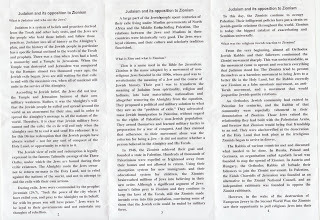 It's necessary to remember what Abba Eban said when he served as Israel's Foreign Minister (when he appeared at the United Nations following the Six Day War) he described the fragility of Israel's 1949-1967 map as Israel's "Auschwitz" lines ," said Rabbi Mordechai Tokarsky, Director of RAJE (Russian American Jewish Experience). 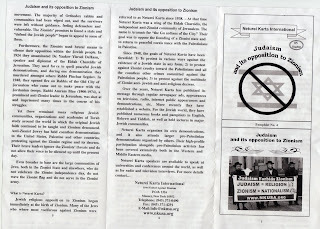 ZOA President Morton A. Klein said, "President Obama has severely harmed Israel's interests and America's interests. 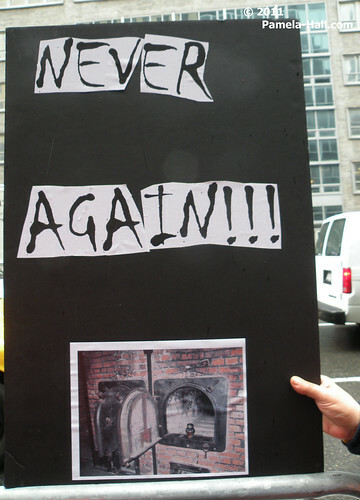 Today, we are ashamed of and frightened by America's policy regarding Israel. 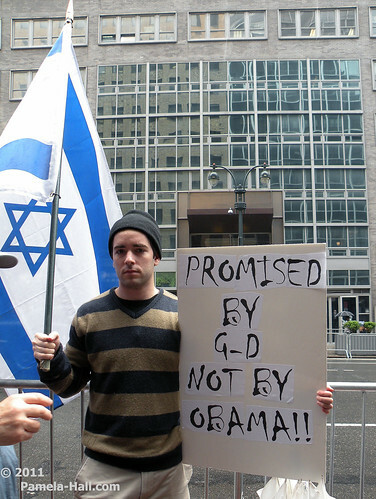 President Obama is the most hostile president to Israel ever. " 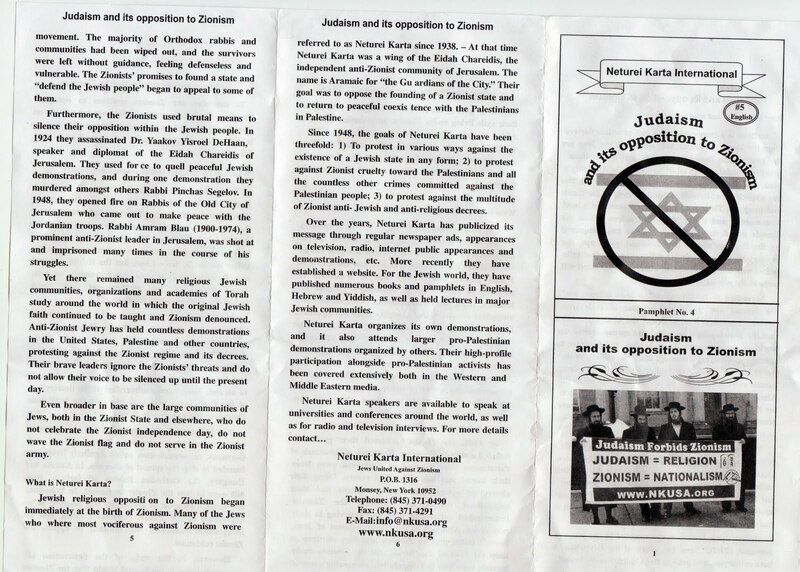 YET, as always, the Neturei Karta didn't miss a chance to throw Israel 'under the Bus" (along with President Obama) chanting, "Down, Down the Heretic, Terrorist State of Israel". Through ignorance or malice, either way it was a sickening display. 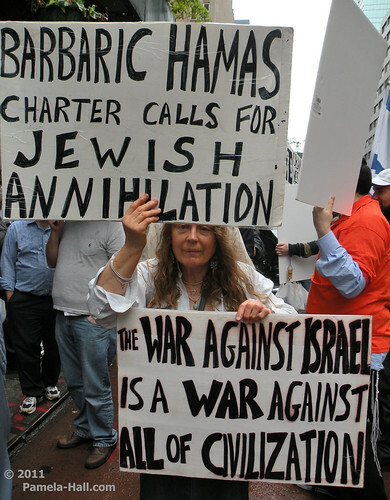 As they waved that Flag of Hatred representing Death to the Jewish State and her People: Disgusting. Foolish. Suicidal. 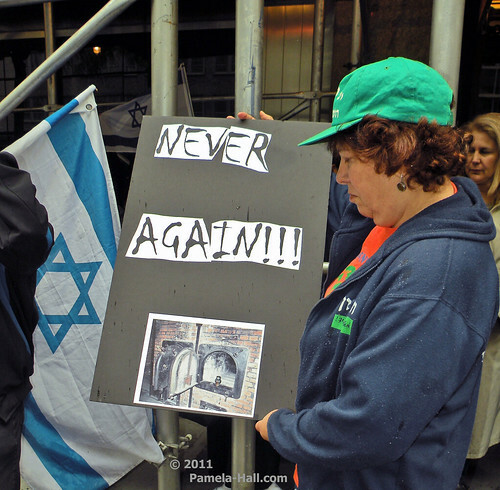 But, back in front of the Israeli Consulate, thankfully the chants of those who support Freedom and Democracy rang through the air : "We Stand With Israel, Don't Reward Terrorism and Obama Must Go !"